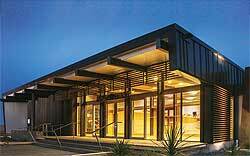 Developed by Te Runanga a Rangitane O Wairau Trust as a meeting place and showcase for the development of Rangitane culture and art, Ukaipo offers a modern, multi-purpose venue for functions and events and is available for hire by the wider community. Set amongst stunning scenery in the magnificent waterways of New Zealand's Marlborough Sounds, Punga Cove is the perfect retreat for people wanting to relax in style. Explore the turquoise waters in our sea kayaks or visit nearby islands and cruise the sounds in search of playful Dusky Dolphins. Experience the leafy wonders of the Queen Charlotte Track or catch fish in the bay. Join an outer sound fishing charter or take a gourmet picnic lunch and a bottle of champagne to a secluded beach nearby. Enhance your holiday's relaxation with a meal in our fully licensed restaurant situated to give breathtaking views of the entire Endeavour Inlet.